Hey Ya’ll ! I’m Majesty (yep that’s really my name lol) Charlotte Based Influencer, Wife and Content Coach. I launched my blog in 2013, and over the years, it has grown to be a resource for women who are striving to live their best life! On my blog post, I keep you informed on all of my favorite beauty products, fashion trends, places to travel, and latest life hacks. With my services, I offer support for content creators by way of one on one coaching and through tools and resources that can help you level up and take your brand to the next level. Are you someone who wants to start a blog, take your current blog to the next level, or learn how to work with brands but have no clue where to begin? Are you a brand looking to collaborate? 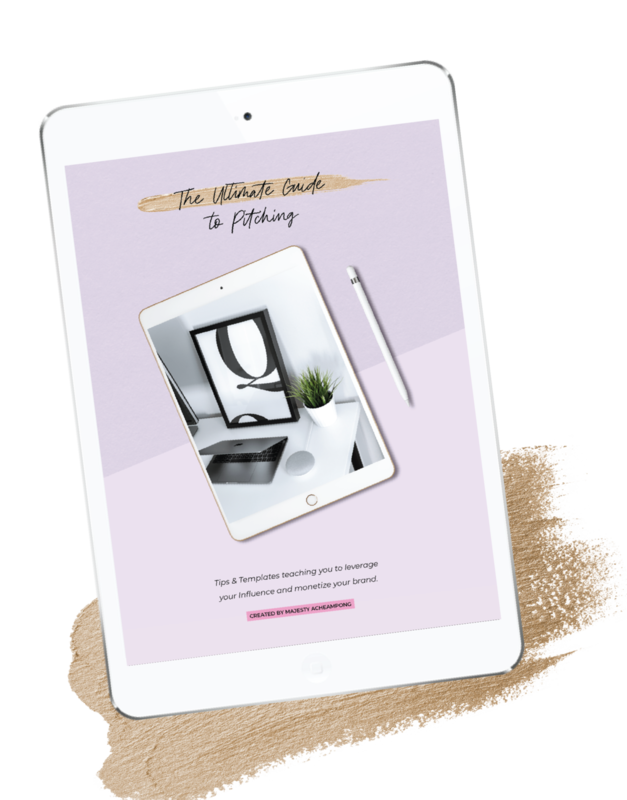 The Ultimate Guide to Pitching - Tips & Templates teaching you to leverage your Influence and monetize your brand. Ready to start pitching and get paid?